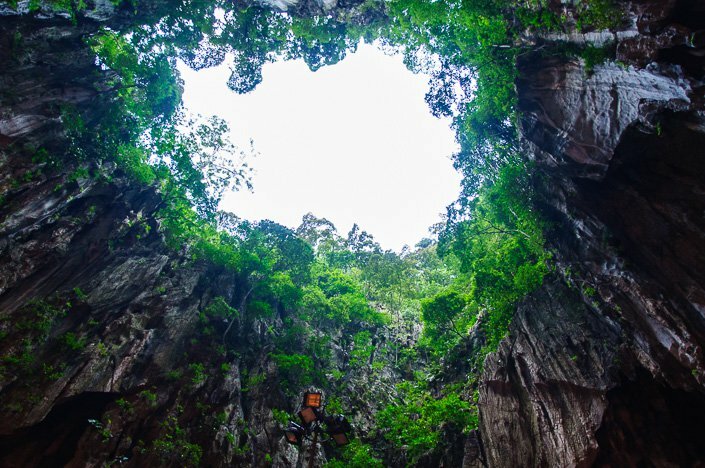 Deep inside a lime stone mountain just outside the city of Kuala Lumpur in Malaysia, there is a cave. A huge cathedral like cave with walls that stretch almost to the sky, with birds flying high above, and wild monkeys running up its rock faced walls. 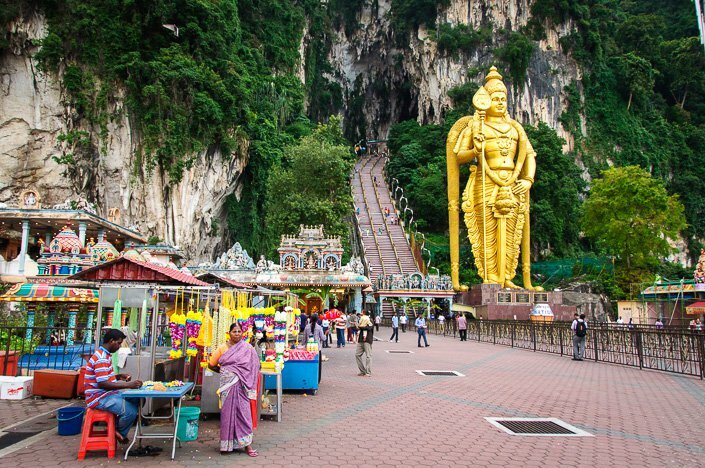 This is Batu Caves, the most important Hindu temple outside of India, dedicated to Lord Murugan, an Indian deity. 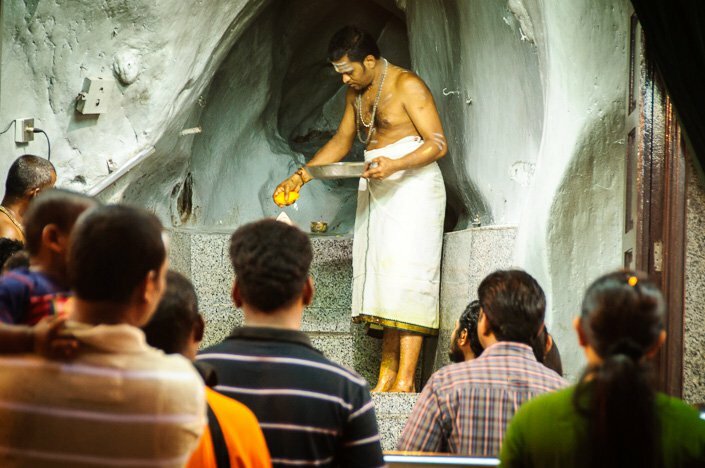 It has become a pilgrimage site for not only Malaysian Hindus, but Hindus worldwide from countries such as India, Australia and Singapore. Of course we had to go check it out while we were in Kuala Lumpur! 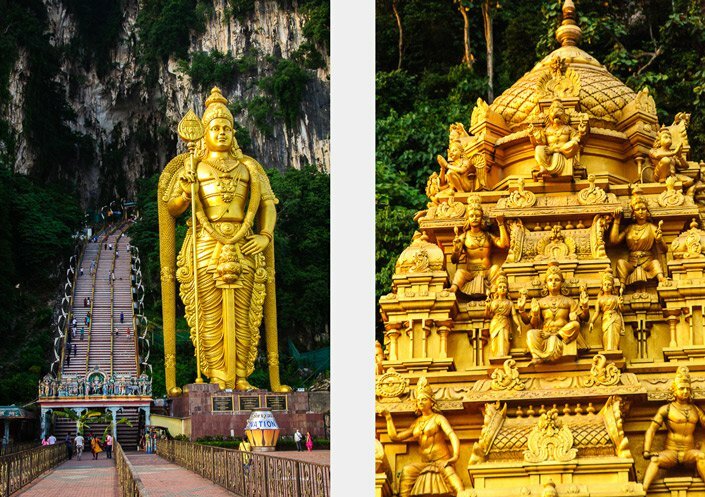 Once we got off the train (the mountain is located 13 km north of KL), we were met by some huge and colorful Hindu gods. To the left of the entrance is a gigantic (15 meter tall) version of the Hindu god Hanuman, and a temple dedicated to Hanuman. Hanuman was an devotee of Rama according to the Hindu legends. Hanuman participated in Rama’s war against the demon king Ravana, and several texts also present him as an incarnation of Lord Shiva. Several colorful Hindu gods inside and outside the Batu cave temple. Hanuman to the right. 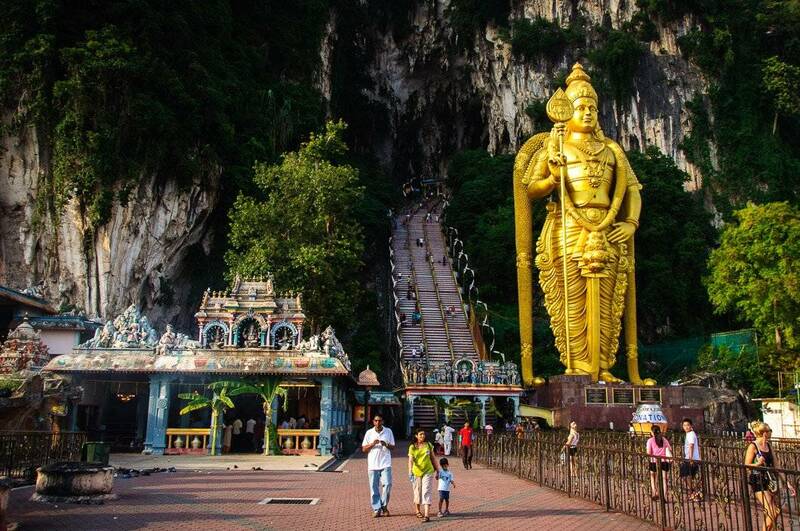 To the left of the stairs is the world`s tallest statue of Lord Murugan (43 meter high), a Hindu god. Many of the shrines also relate to the story of Lord Murugan’s victory over the demon Soorapadam. Pretty impressive and a bit crazy! Beautiful statues painted in gold, both next to the stairs and on the roof of the temples. On our way up to the Cave Temple, 272 steps! On the way up we met quite a few monkeys, as there is a whole colony of monkeys living in the caves, which visitors feed — sometimes involuntarily. The monkeys did not seem very friendly! Several of them did pose a biting hazard to some small children, and they seem quite territorial. Numerous monkeys live in the caves, and they tend to come down to the stairs to find/ steal food from visitors and in the garbage bins. Finally up, the cave turned out to be HUGE! 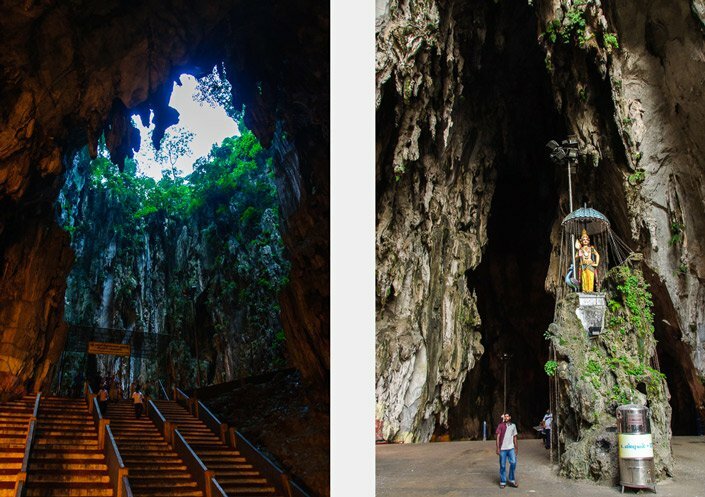 The Batu Caves temple complex consists of three main caves and a few smaller ones. The biggest is called Cathedral Cave or Temple Cave, and houses several Hindu shrines. It has a very high ceiling, also with a whole that leads up to the jungle and the sky. 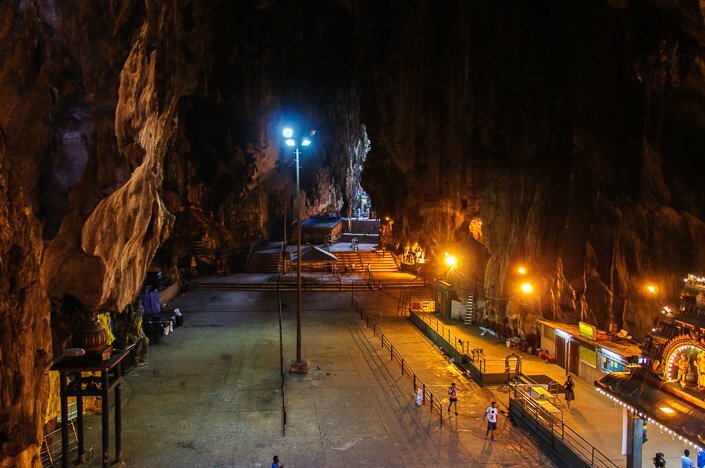 The limestone forming Batu Caves is said to be around 400 million years old. 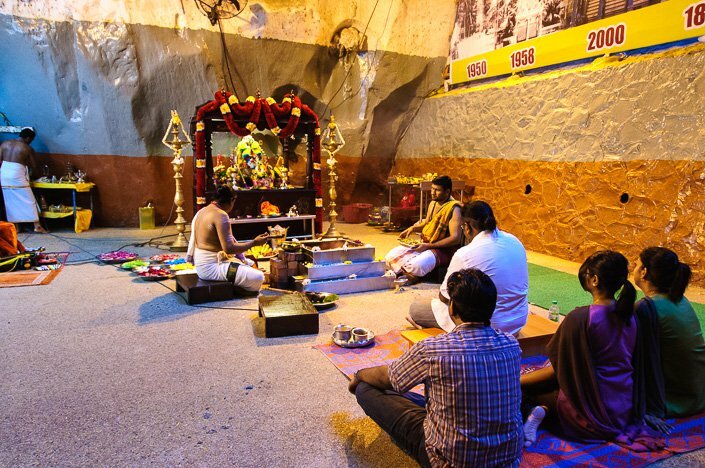 There were several Hindu ceremonies taking place inside the cave while we visited. The main cave is impressively huge! We walked around the caves a bit, taking in the relaxed and spiritual atmosphere and cool air, before walking the 272 steps down. The Batu Caves Temple is 100 meter above ground. On our way down we got the chance to really have a look at and admire the roof of the buildings. They are all beautifully decorated with Hindu gods. 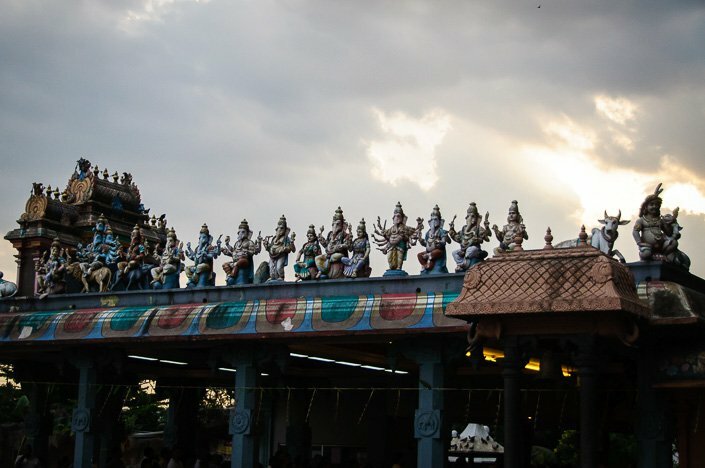 Several Hindu gods on the roof of a building. Different variations of the Hindu god Ganesh on the roof of one of the temples on the ground. A beautiful male angel on the roof of a temple. The cave also had some hens wandering about! 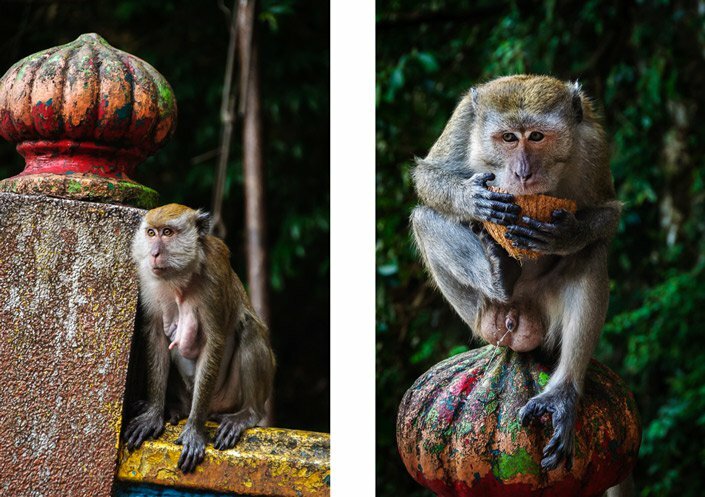 Our trip to the Batu Caves was a very nice afternoon excursion. The cave was impressive, and so were all the gigantic and colorful Hindu god statues outside the cave on the ground floor. Even though the climb up the 272 steps was a big exhausting, it was totally worth it! 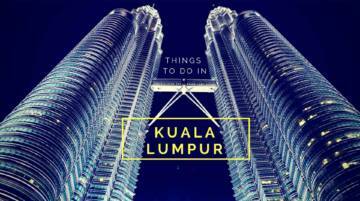 If you are looking for other things to do in Kuala Lumpur, check out our 8 Things To Do In Kuala Lumpur! 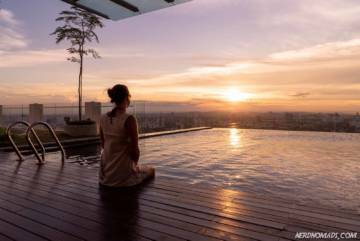 Kuala Lumpur is one of our favorite hotel cities in the world, with a great combination of high standards and reasonable prices. Here you can find plenty of excellent accommodation on any budget. Below are some of our favorites at different price ranges. 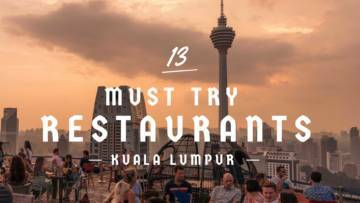 For more accommodation options and tips on which areas of KL that suits you best, read our complete guide on where to stay in Kuala Lumpur. 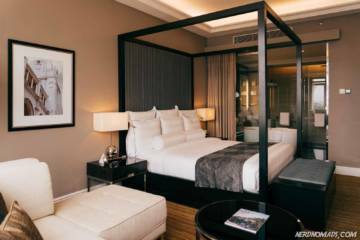 Build in 1932 as Kuala Lumpur's first luxury hotel, The Majestic has been host to royals and celebrities. A massive restoration project finished in 2012, and today it perfectly mixes old world luxury with modern five-star comforts. Rarely have we been met with such genuine warm service and smiles. Staying at the Majestic is a unique experience in its self. 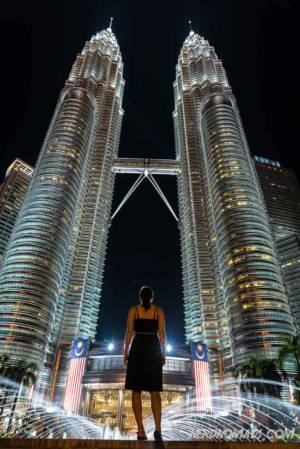 With arguably the city’s best view of the world-famous Petronas Towers and with KLCC park as it’s closest neighbor the Traders Hotel’s location is just unbeatable! Hotel Stripes is a new hotel (2017) that impressed us in every way. 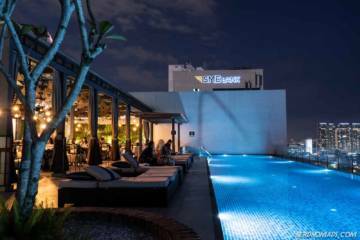 We loved the stylishly and ultra-comfortable rooms with small touches like the free refill of soft drinks and water, and the rooftop infinity pool and bar with its spectacular view of KL Tower. Located just a few minutes walk away from the Dang Wangi subway station and the Medan Tuanku monorail station, it is also a great base from which to explore the city. Hotel Stripes is our favorite hotel in the downtown of the city. KL Journal is our favorite mid-range hotel in the Bukit Bintang area. This cozy boutique hotel is located on a quiet side street yet you are just a few minutes walk away from world-class shopping and entertainment, delicious street food, tons of restaurants and nightlife. The newly restored infinity rooftop swimming pool and bar area is a lovely place to relax. If you’re looking for an apartment, then Lanson Place is tough to beat. 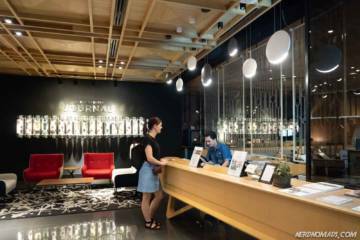 Large, modern and fully equipped apartments within an easy walking distance of Bukit Bintang. 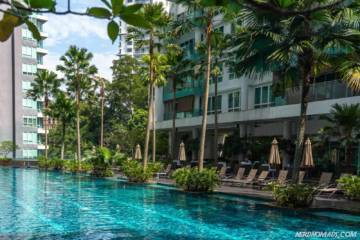 The swimming pool is enormous, and there are a children’s pool and playground, as well as a well-equipped fitness center. We keep returning to The Capri hotel and it has over the years become our favorite KL hotel. It is located in a quiet upscale residential area in Bangsar South just a 10-minutes train ride from KL Central. Here things move a little slower and provide a nice escape from the hectic city, yet there are plenty of excellent restaurants and shopping malls around. Originally an old shophouse that has been converted into a hostel. Paper Plane Hostel has a quirky, cozy interior design with super clean, air-conditioned rooms, comfortable beds, and spotless bathrooms and most importantly super friendly and helpful hosts. Bukit Bintang is just a 10-minute walk away, and the nearby VCR Coffee & Cakes Cafe serves tasty granola, coffee, and cakes! Hi Tanya! Thank you so much! You made our day with your nice comment! 🙂 Malaysia is a great country to travel in, so much to see, interesting culture and beautiful beaches. 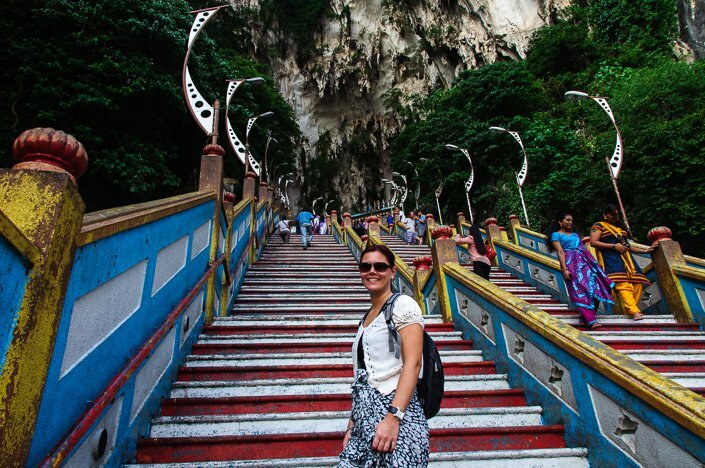 Maria, Batu Caves is one of the first places I visited in Malaysia; I absoulutely love it there…although not the steps so much! 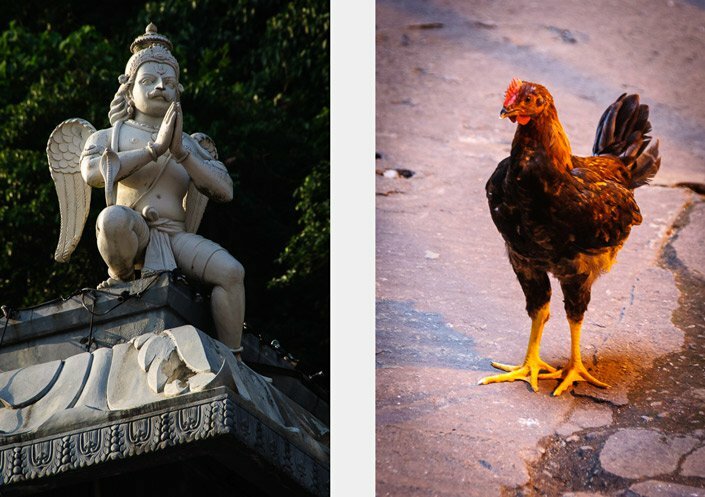 Great photos…especially the statue silhouettes. Thanks Corinne! Batu Caves was a highlight of our trip to KL as well! 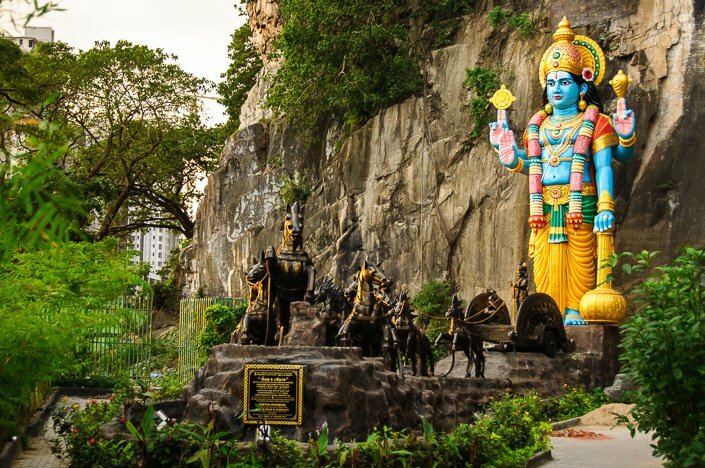 Like Corinne, Batu Caves was also one of my first stops in Malaysia. I was surprised how fascinating I found it, as I had been recommended to skip it by someone before I left. You look so happy on steps, by the tie I got that far, I am guessing I just looked tired. Visiting from Weekend Travel Inspiration. I’ve heard so much about these caves. I would love to explore them for myself one day. Not so sure about those steps though. And the monkeys! I’ve had friends get stuff stolen… food mostly though. 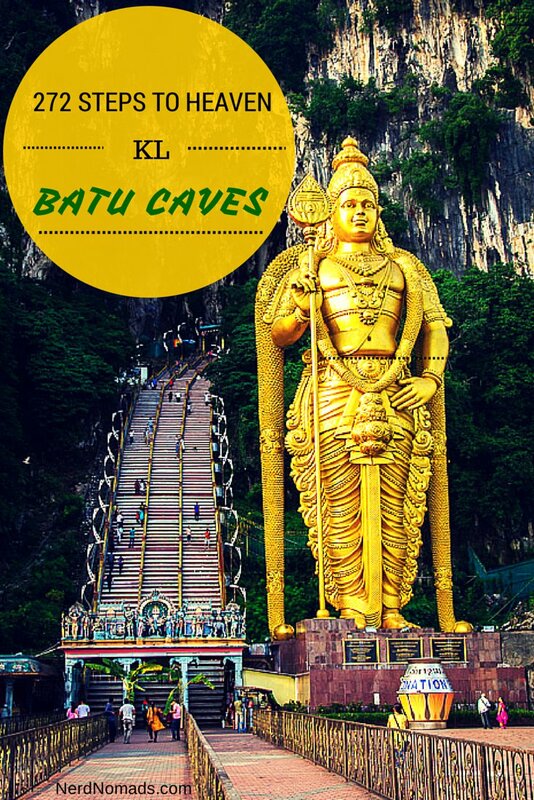 Whenever people ask me where to visit in Kuala Lumpur, I always tell them to go to Batu Caves. Your photos show off the temple beautifully. 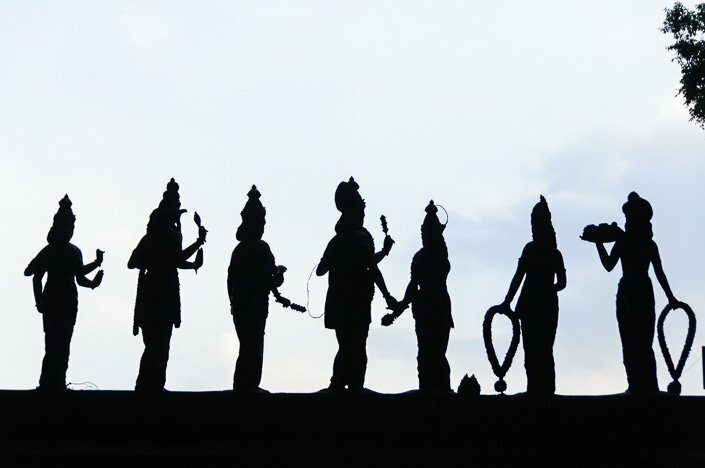 I especially like the silhouette of all the statues on the rooftop. When i was at Batu Caves, that huge Lord Murugan statue was covered in scaffolding, so you definitely got a better view of it than I did. Thanks Michele! 🙂 Batu Caves is a highlight in KL, and a must to visit, I agree! Loved it here! It remind me of gatecrashing my besties honeymoon in Malaysia – TRUE STORY! Thanks for linking up with us for #SundayTraveler. I’ve heard so much about the Batu Caves and still, all I have managed to do in KL is see the airport from the inside 😉 But beautiful posts like yours will make sure that one day I’ll make it there! Btw. monkeys are never friendly, the little bitey kleptomaniacs. KL is often just a transit place, same for us. But this time we decided to stay some nights in the city before traveling on, and we did not regret it. KL is a great city! Thanks a million Katie! So happy to be of help! Have a great trip to Malaysia and Kuala Lumpur! I certainly did enjoy the photos. I am from Trinidad, my grand parents were from India so basically I am a hindu. We do have a small following of Sri Murugan. We have an 85 feet high statue of Hanuman. Also about half of our population that is about half a million are of east indian descent mostly hindus. You are most welcome to our twin Island state. Just thought I should mention these tid bits of info. We would love to visit Trinidad some day! It looks so beautiful with amazing beaches! We have a dream of sailing in the Caribbean and will definitely step on land on Trinidad. 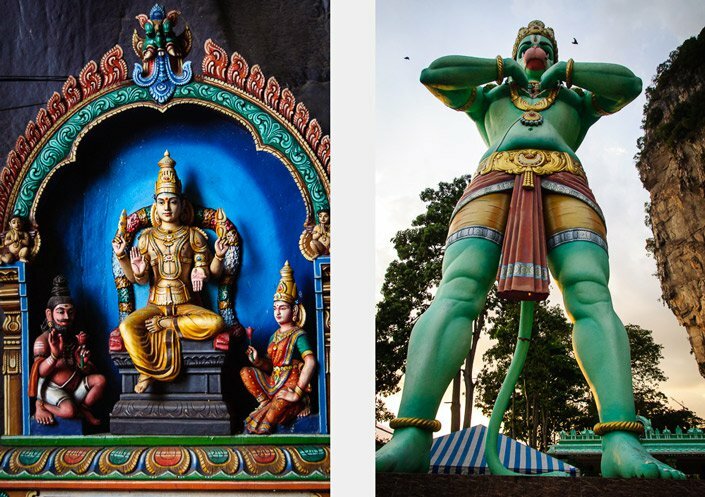 Wow, an 85 feet high statue of Hanuman, that is impressive! Thank you so much for commenting. I was wondering if you knew how long of a trip it would be to go directly from the airport to the caves? I am trying to see if we could do this on a long layover. Thanks! You should be able to take the train (KLIA Ekspres or KLIA Transit) from the airport into KL Sentral station and transfer from there to Batu Caves (KTM Komuter). It should take you about an hour each way depending on how well they connect. Add a couple of hours for the caves + at least a couple of hours as a safety margin for the unforeseen. I was thinking about whether you knew to what extent of an excursion it is go specifically from the airplane terminal to the caverns? I am attempting to check whether we could do this on a long delay. Much appreciated! Yes, I think it is doable to do the Batu Cave Temple on a long stopover at Kuala Lumpur Airport. 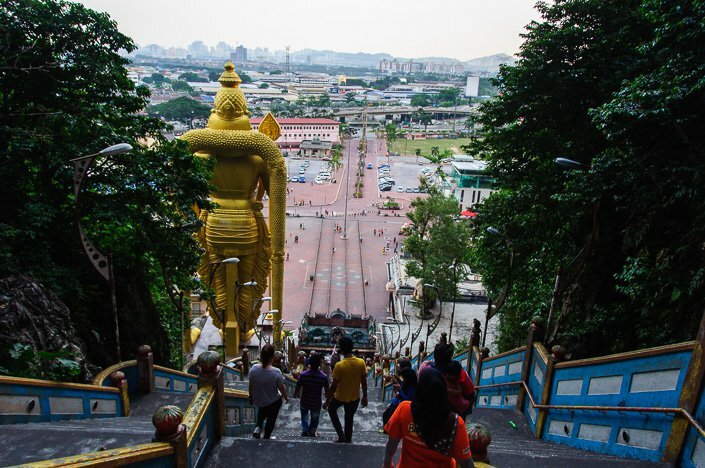 It takes about 1-1,5 hours from Kuala Lumpur International Airport to the Batu Caves each way (by taxi or train). Also, you must add in that you need to go through the immigration at the airport which will take some time. So it really depends on how much time you have at your stopover in KL. 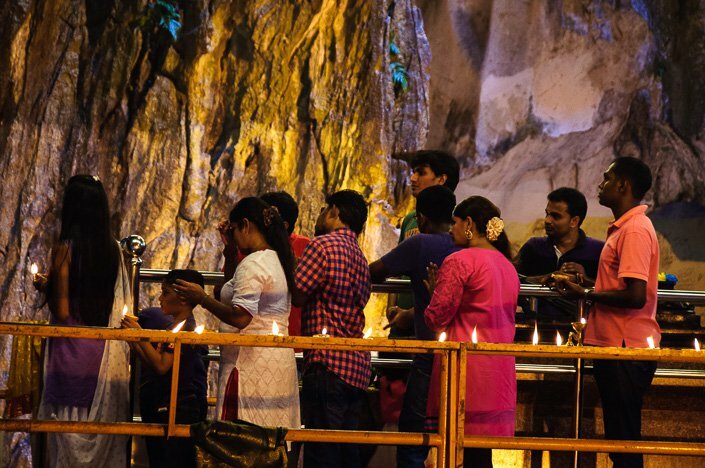 You should expect to spend a couple of hours exploring the Batu Caves. Have a great trip to Kuala Lumpur!